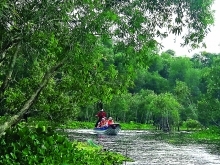 Data from the Vietnam National Administration of Tourism (VNAT) show that Vietnam welcomed a record high 15.6 million foreign visitors and served more than 80 million domestic tourists, earning VND620 trillion plus in revenues in 2018, an increase of 2.7 million and 6.8 million visitors respectively over 2017. Minister of Culture, Sports and Tourism Nguyen Ngoc Thien said at a recent news conference that the achievements prove that Vietnam is an attractive, safe and friendly destination for visitors - important conditions for tourism to become a spearhead economic sector by 2030. In 2018, 380 travel enterprises were licensed to offer services internationally, 4,678 tour guides were licensed, and 113 3-5-star accommodation facilities were certified. VNAT leaders said the growth in the number of visitors and revenues is attributed to efficient tourism promotion. 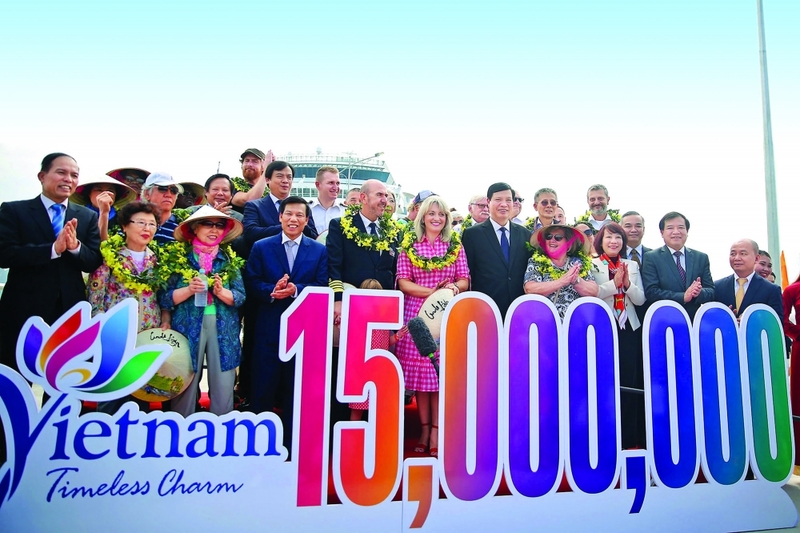 Promotional activities included the Vietnam International Travel Mart (VITM) Hanoi; the International Travel Expo in Ho Chi Minh City; participation in seven international tourism fairs; 14 tourism promotion events in China, Western Europe, Northern Europe, Canada, America, and Japan; National Tourism Year 2018 in Quang Ninh Province; the signing of tourism cooperation agreements; and facilitation of tourist offering development. Many localities, including Ho Chi Minh City, the cities of Da Nang and Hai Phong, and Kien Giang, Lam Dong, Thanh Hoa, Quang Binh and Quang Nam provinces, have attracted a growing number of visitors, earning increasing revenues. 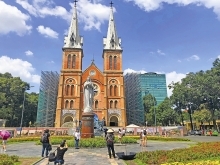 Ho Chi Minh City led the country once again with 36.5 million visitors, including 7.5 million foreign visitors and 29 million domestic tourists. 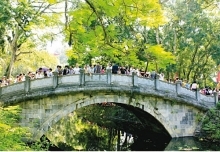 Hanoi welcomed about 28 million visitors, including 5.5 million foreign tourists. The northern province of Quang Ninh emerged as an attractive new destination this year. It attracted 12.5 million visitors, including 5.3 million foreign visitors, surpassing the central city of Da Nang with 7.7 million tourists, including nearly three million foreign visitors. Tourist investment has increased quantitatively and qualitatively with many projects of such leading Vietnamese economic groups as Vingroup and Sun Group. Localities worked with each other to hold tourism development cooperation conferences, strengthen tourism promotion and build and diversify tourist offerings. Minister Thien said he believes that over the past three years, the tourism industry has achieved outstanding achievements including sharp increases in the number of visitors and revenues and improved infrastructure, among others. However, the tourism industry is facing many difficulties including increasingly fierce destination competition, Thien said. Vietnam needs to stimulate tourism promotion with a focus on key markets, and strengthen service quality management if it is to reach the target of attracting 18 million foreign visitors in 2019, Thien said. province of Quang Ninh, and implement other tourism promotion policies.